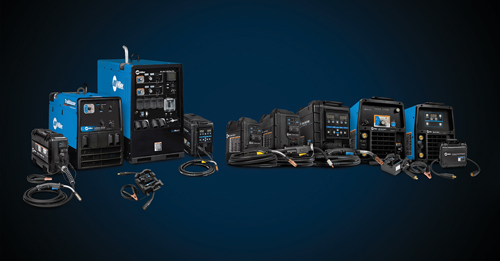 Miller Electric will show its latest welding and safety equipment. Visitors will experience the equipment firsthand through live welding demonstrations. The company will feature Hobart filler metals, along with Bernard semiautomatic gas-metal-arc-welding (GMAW) guns and Tregaskiss robotic GMAW guns during the demonstrations. Miller products include the ArcReach line of power sources, engine drives, feeders and remotes. Additions include the XMT 350 FieldPro power source; cable-length-compensation-and-adjust-while-welding technologies; and Big Blue 600 Air Pak and Trailblazer 325 engine-driven welder/generators.